Visit the town of Armo during your stay in Italy, Liguria. The parish church of the Natività di Maria dates from the sixteenth century and preserves a fine fifteenth-century ancona by an unknown artist. Each district has its own church, including the nineteenth-century church of San Bartolomeo, the church of San Sebastiano in Ponte, the church of Sant'Antonio in Cosne and the church of San Matteo in the district of Grenzolini. Until the nineteenth century, the road connecting Piedmont with Liguria passed through Armo. Cultivation in the territory is largely given over to olives and vineyards, but the economy is also based on the exploitation of the woodland (oaks) and on stockbreeding. There are some popular game reserves and grottoes (not open to visitors). You can enjoy a very wide panoramic view from Colle di Armo, which ranges from the sea to Monviso. Local products in Armo include Ormeasco superior wine, olive oil, wood, milk and mushrooms. The typical dish is called "piatto feidu" or "carbunera", once known as "capun de galera": it is made of toasted bread covered with a spicy sauce, mixed vegetables, hard-boiled egg and anchovies. The rural town of Armo is situated at the foot of Rocca delle Penne at the beginning of the valley through which the River Arogna, a tributary of the Arroscia, runs. In 1223, it was merged with some other municipalities to form Pieve di Teco. Before passing under the jurisdiction of the Republic of Genoa in 1386, it was part of the marquisate of the Calvesanas. From 1928 to 1949 it was aggregated with the municipality of Pieve di Teco. 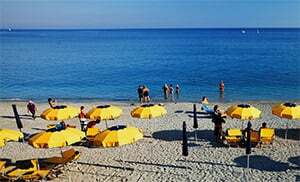 Armo is one of the villages in the Province of Imperia which is located in the Liguria region. Near Armo you will also find hamlets like: Moana (2.1 km), Trastanello (3 km) and Trovasta (4.3 km). When coming from the direction of Imperia, take the SS28 towards Torino and drive past Pontedassio, Chiusanico and Muzio, then keep to the right in Pieve di Teco towards Armo.